12.30.2014. 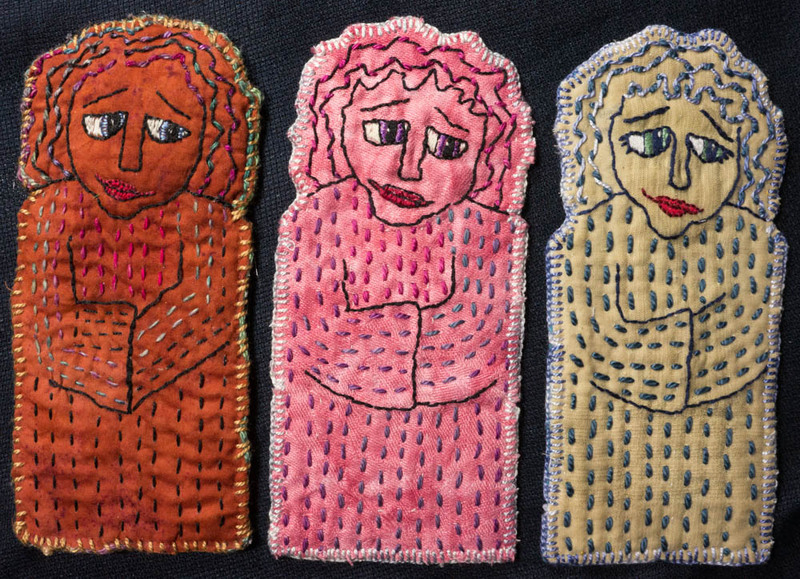 I was going to make a bunch of these little pocket saints to give for Christmas, based on my model "Christine" (at the left of the photo below). I got as far as making one for Bárbara and one for Heidi. But on the next one my style began to deteriorate. 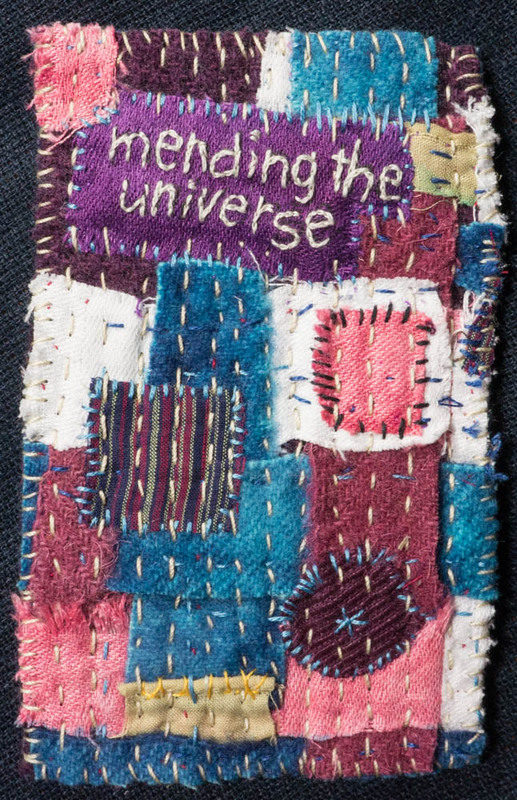 So I switched to "doodads" -- little 3 x 5 stitching experiments. 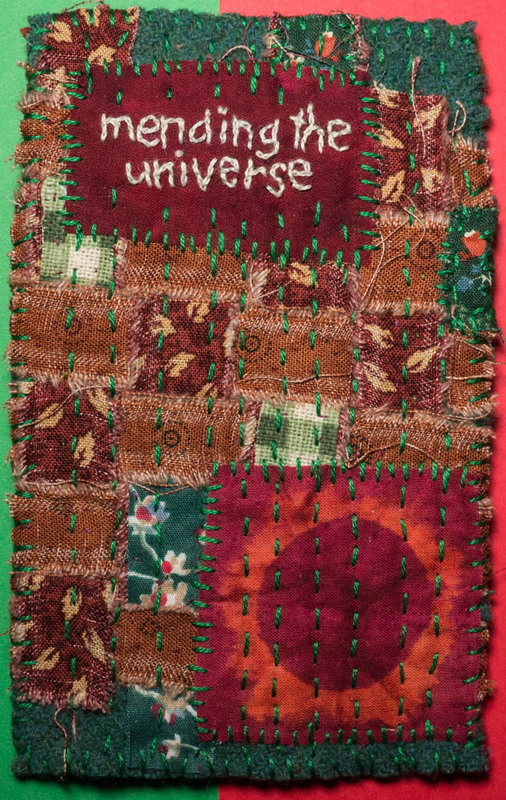 The one below was my model: words + patchwork + plus layers of wool + plus quilting + blanket stitched edges. This one I made for Ellen and the colors were really rich and lovely. 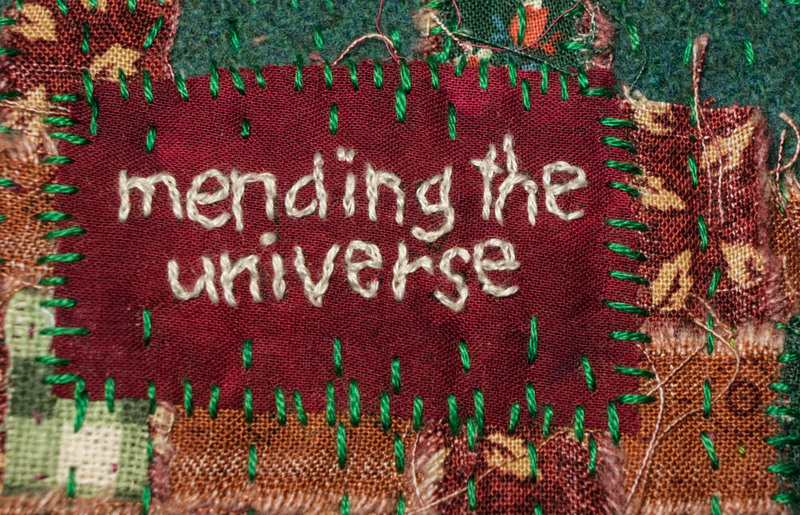 "Mending the universe" of course applies to the stitching process, but I got the notion from Jewish mystical tradition. Tikkun olam refers to humanity's obligation to help God repair the world.